Project Neon: An Exciting Change to the Las Vegas Freeways! 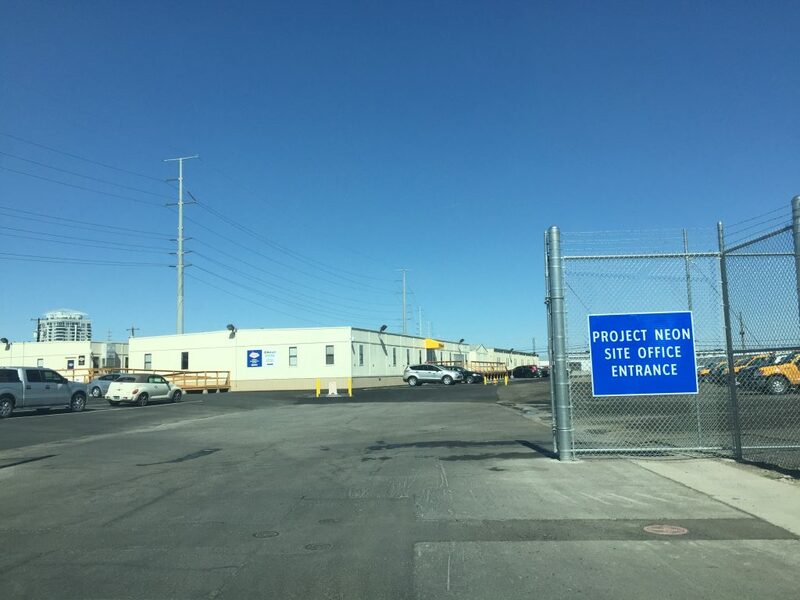 Construction Notebook had the wonderful opportunity to attend an open house to a project nearly two decades in the making, and one of Nevada’s biggest public works projects in history: Project Neon. Project Neon is an extensive project by the Federal Highway Administration and the Nevada Department of Transportation (NDOT), focusing on expanding and reducing traffic along Highway 95, Interstate 15, the interchange in between, as well as the local side streets and roads along that stretch of highway. 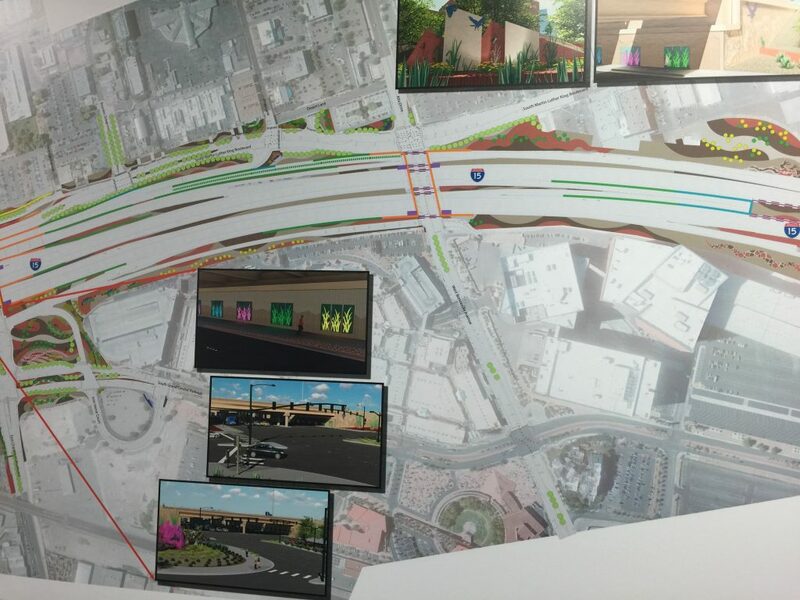 The goals of Project Neon are not only to improve the safety aspect, but also to reduce traffic congestion, reduce travel delays, create jobs, improve air quality, improve freeway operations, reduction of cars weaving in and out of traffic, new surface street connections, easier access to enter and exit the freeways, and better / easier access to downtown. This area, lovingly referred to as the Spaghetti Bowl by Las Vegas residents, is prone to having heavy traffic congestion and many accidents. The 3.7-mile stretch of I-15, from Sahara Avenue and the Spaghetti Bowl, is the busiest stretch of roadway in Nevada, with over 300,000 vehicles traveling along it per day and 25,000 lane changes per hour. Unfortunately, this high rate of traffic causes upwards of 3 accidents every day. Traffic in this area is expected to double by the year 2035, which is why it is of the utmost importance to ensure the safety and easy access of this roadway. 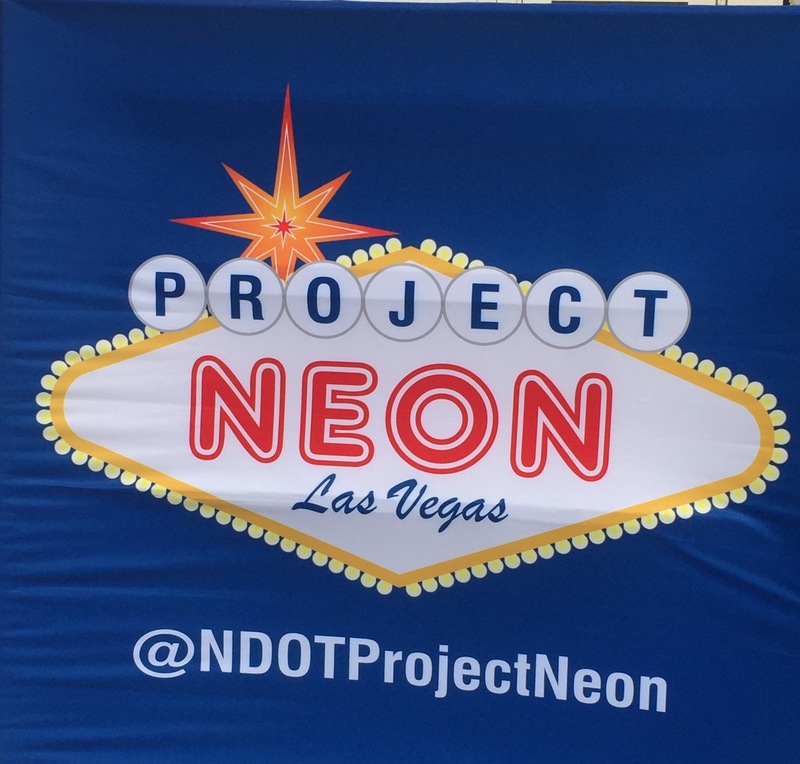 Project Neon is a Design-Build project that has been in the works for over 20 years, and currently is about 45% complete for the design phase, and will continue to be Design-Build, through the 3 phases of the project, until its completion. 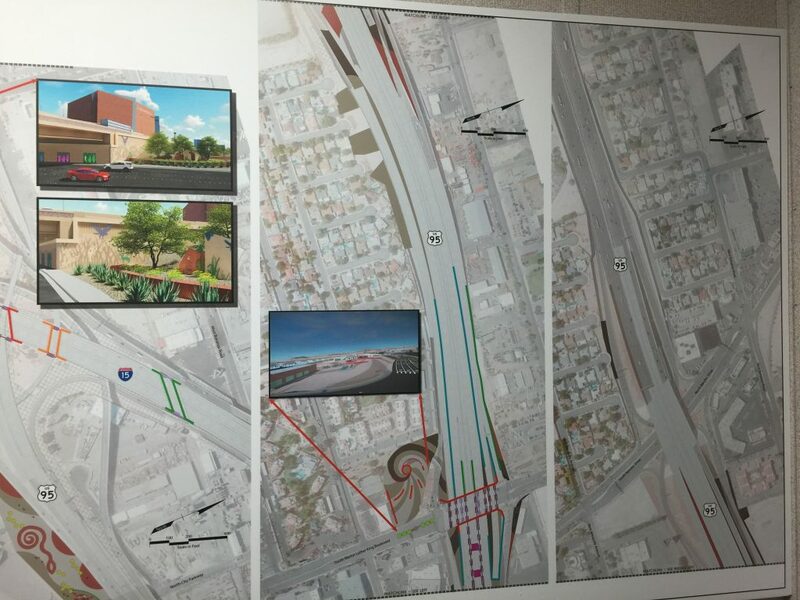 Construction is set to begin at the end of the month (June 2016), starting with drainage improvements and expansion along the local roadways that enter and exit the freeway, such as Grand Central Pkwy., Martin Luther King Blvd., and Western Ave., as well as completing the structural necessities for the construction of ATM’s. In 2017, the first of the actual freeway work begins (which does include some lane closures over the duration) with over 300 days’ worth of work along Highway 95. 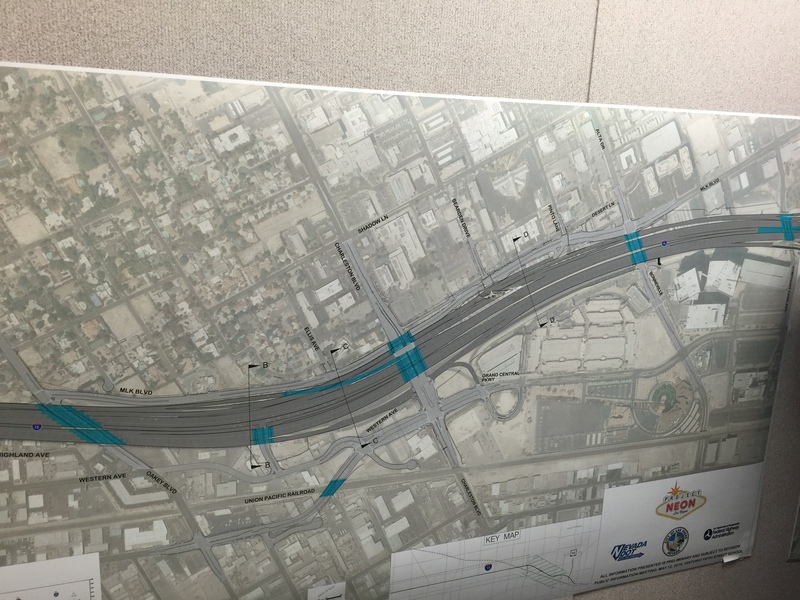 The construction is scheduled to peak in 2018, when the work along the I-15 will occur. Within ten months, between Nascar weekend and Thanksgiving (March – November), the major work will commence, including the I-15 mainline and HOV Flyovers (continuing into 2019). Once work along the I-15 has been completed, construction along local roads will be finished, along with the wonderful addition of creating access from Downtown directly to Industrial Road, scheduled to conclude in 2019. Two of the major aspects to the success of this project are the additions of improved HOV Flyovers and Automated Traffic Management systems (ATM’s). 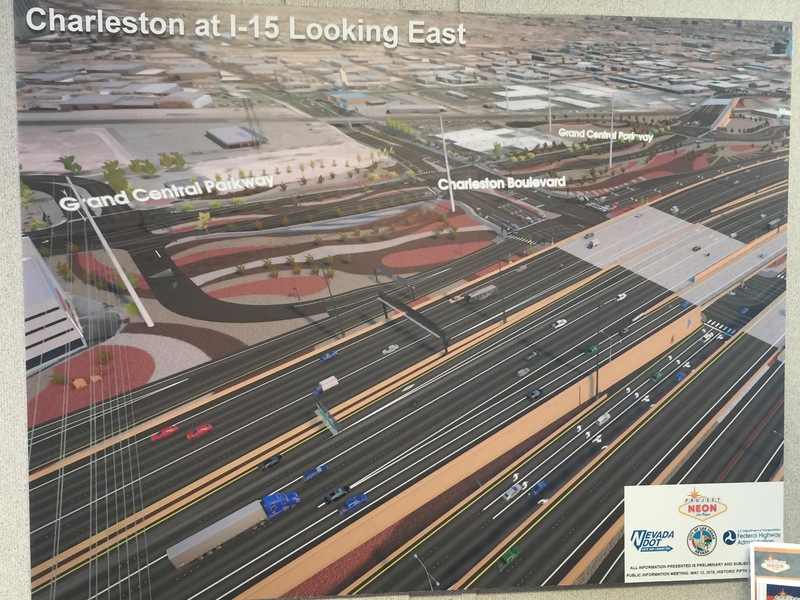 Part of Project Neon consists of NDOT converting the current I-15 express lanes into one HOV lane and one general purpose lane. There will also be the added benefit of constructing a direct connector between the HOV lanes of Hwy. 95 and the new HOV lane for I-15. This connection, known as the Neon Gateway, is the highlight of the project. An HOV lane is dedicated for the use of vehicles with a high occupancy, including buses, carpools, and other vehicles with more than one occupant. HOV lanes encourage moving more people with less vehicles, is the most common type of managed lanes, can reduce peak-period travel time and provide more consistent commute times. HOV lanes also provide cost savings, by allowing savings on fuel and vehicle maintenance, and traffic congestion management, as a normal highway lane can carry 1,500 – 2,500 vehicles per hour, while HOV lanes (and vehicles with more occupants) can encourage people to travel together, which will cause less vehicles to be on the road at one time. The other important aspect to this project is the construction of ATM’s or Automated Traffic Management Systems. 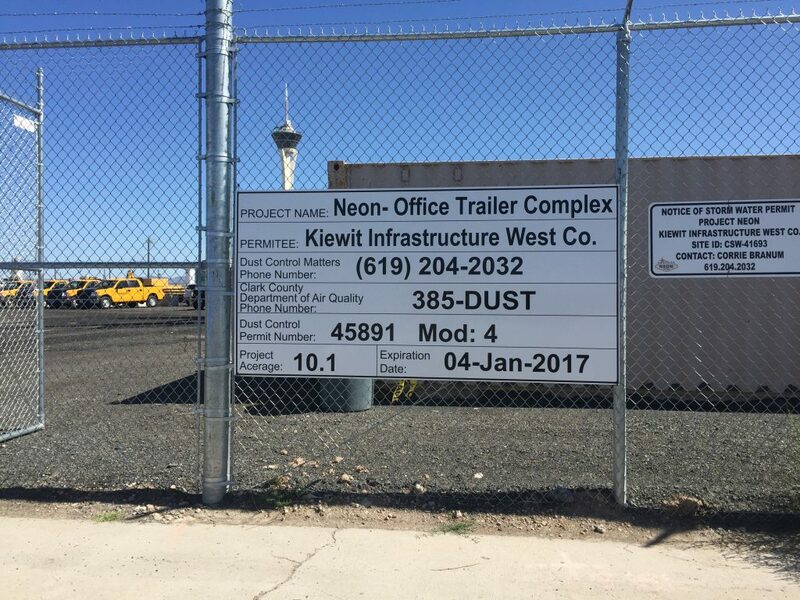 NDOT projects that by the end of the project, upwards of 50 of these ATM’s will be placed along the construction area, with 12 of these to be constructed early on (2016), before Project Neon construction even begins to serve as a valuable traffic management tool during construction. These ATM’s will show, in real time, which lanes are open / closed (allowing people to merge to other lanes quickly and easily to avoid traffic build up at merge points), give estimated destination times, as well as accident and traffic reports. The Project Neon ATM system will feature full-color, high-resolution dynamic message signs. The new ATM’s will be far more sophisticated than the existing signage along the freeways now as these new display signs will span all lanes and provide lane-specific speed limits, lane control and other messages. The ATM’s will be strategically placed, for optimal sight distance at an approx. spacing of every half-mile. Another interesting aspect to these ATM’s is that they can actual collect data about average speeds, congestion times and other traffic information to reduce the severity of traffic congestion and increase travel flow. CCTV Camera coverage will also allow ATM operators to identify and confirm incidents and congestion. Project Neon is an exciting change and construction opportunity, not only for the construction industry, but for Las Vegas as a whole. It will be very exciting to watch this project come together and see what wonderful opportunities can arise from it. If you would like more information on Project Neon or NDOT’s work in general, feel free to visit their website, www.nevadadot.com. ‹ Construction of Goodwill’s 18th location has officially begun! › Zap It Again!